Expecting only a small gathering, Swami Gokulananda had arranged for an informal talk by me in the basement of the temple; but about 600 people is not a small gathering. So the venue had to be shifted to this Vivekananda Lecture Hall. Still, I shall give only an informal talk today on the announced subject 'Householders and Their Spiritual Life' and not a public lecture. Drsýate tvagryayā buddhyā suksmayā sūksma darśibhiḥ. This profound truth of the Ātman, the divine pure consciousness, ever pure, ever free and immortal is present in every human being. Only it is hidden, not manifested. Does it always remain hidden? No. It has been realized by the great sages; and it can be realized by one and all. Human beings have the organic capacity for it. How? When the mind is trained to discover subtle truths, the subtlest minds can discover this subtlest of truths, the Ātman. Uttiṣthata jāgrata prāpya varān nibodhata. 'Arise, awake, and stop not till the goal is reached.' This is Swami Vivekananda's free translation of the text which literally means Arise, awake, and enlighten yourself by approaching the great ones.' What a wonderful message! Becoming a householder, we are passing through one phase of our life. According to the Vedic conception of human life, one hundred years is the limit of human life. Śankarãcãrya writes: Tãvad hi puruṣasya paramãyuḥ nibodhitam. '— 'That much is the length of human life.? So, we divide this human life/into four portions: First as a student, brahmacãrin, to study and develop knowledge. There is so much knowledge to acquire. A human child needs about 20-25 years to acquire knowledge and get educated. The animal child does not take so much time. When a calf is born, within One hour, it learns how to jump about; It goes out here and there and its education is over. But a human child, for about 25 years, is in the process-of being educated. This is the brahmacarya period. This kind of life-analysis you will find in no other literature. Then, after you become about 25, the next is the life which is called gṛhastha, householder. It means marriage, living as Wife and husband; two people join together, creating a family with one" or two children. Nature wants it, nature dictates to the human being, saying, 'Yes, you produce one or two children.’ Today's biology tells you that nature is not interested in any species which does not reproduce itself. If there is no reproduction, nature cannot continue, evolution cannot proceed. Therefore, in the human being, we have this function in the life where you become an instrument of nature to continue the evolution of the human race with one or two children. 'By losing and serving each other all can attain the highest.' To achieve great Welfare, we need the capacity to help each other, interact with each other in a positive way. This is the 'ideal householder's life, In this way, the householder Will have mental peace and fine children who will continue and further enrich the human culture and civilization. Here, modern biology tells you one profound truth-human uniqueness -- the distinction between pre-human species of animals and the human species. One distinction is, they have only one inheritance, the genetic. We also have genetic inheritance — father and mother gave us our body. In this way, genetic inheritance goes on. But a human being has another inheritance also; they call it cultural inheritance. Today biology tells you that culture cumulative knowledge, cumulative experience. In the Vedic times they had some, experience. They did not get lost with their death; they put it in writing, and it became the Vedas. It becomes the property of the next generations. Thus literature, art, science, religion; and philosophy get richer and richer and become the inheritance of the human generations. That is called 'cumulative culture'. It goes on expanding and expanding. No animal has cultural inheritance. The human child inherits not only the hereditary system from the parents and grandparents, but also the culture coming from olden times. So, a double inheritance we have as a human being and so we have to develop that culture, expand that culture, giving to the next generation something richer, something better, from our own experience. That is the householder's responsibility. "The fate of India was sealed when she discovered the word mleccha and stopped communication with the world outside." That is the language we find there. What Swami Vivekananda said is what Al Beruni had said earlier, about a thousand years ago. That India is no more the same now. We have become open. Now we can exchange ideas with people, receive and give ideas, and thus develop a universal concept of humanity as one. Today's biology describes humanity as a single species. Even one insect has hundreds of species. But the human being is a single species, inter-breeding and inter-thinking. What a beautiful conception! We are all one physically speaking; but the Vedãnta adds that spiritually also we are one. The Upanisads discovered that one infinite Ãtman is in you, in me, in all. Spiritually we are all one. We must know this truth. Physically also we are one. So, we framed our life in India from that point of view. Later on, narrow-mindedness came, we did not, go out and learn new developments; and the result was that we lost our political freedom to foreign invaders. They used guns, we used only arrows and bows. And so we lost every time, because we did not know what developments had taken place elsewhere. Today we have learnt that lesson. Our mind is open to receive and to give. Swami Vivekananda particularly emphasized this point again and again. 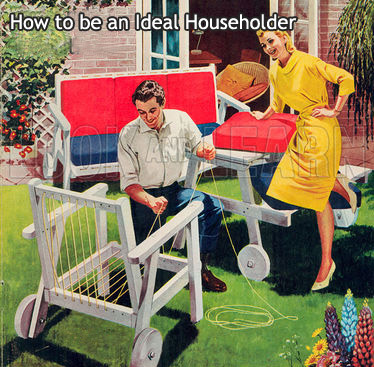 But today's householder is a unique type of person. He can give to others, and he can take from others; this is the way to develop a human consciousness, a human culture. The world is developing in that direction, and India will contribute to that. Today's householder, therefore, cannot be narrow, cannot be exclusive. That is why we are breaking down all caste exclusiveness and all narrow social attitudes. During the British period, caste awareness was very strong. When the Governor or the Viceroy would meet a prince of an Indian royal family, he had to receive them, talk with them, and even shake hands with them. After their guests have gone away, the prince used to take a bath also secretly to remove the pollution! That was the narrowness we had at that time. Today that is all gone. Most of our people are open now. This time is the best to build up our life in the correct manner as given in our Vedãnta the profound, comprehensive, and humanistic philosophy and spirituality of the Upanisads and the Gitã. Much of it is found in the Puranas also. But these two are the main source. They contain universal, spiritual, philosophical teachings, not' for Hindus only, but for every human being. They always kept in view humanity as a whole. A gṛhastha, wife or husband, is one who lives in a gṛha or home. Is he or she to be confined to the home and to the care of his genetic family members? If so, the home becomes a prison. No, he or she is to be concerned with the welfare of the society of which he or she is a member. In India we neglected this idea in recent centuries. But a new situation has arisen in the modern period. India is a vast, free democratic country today; it has: no princes, kings, or emperors. Its sovereignty rests in the millions of its democratic citizens. That freedom of citizenship is the status of all our gṛhasthis today — of both men and women. On their shoulders rests our democratic state. That freedom must be enriched by a sense of national responsibility by every householder today. Such free and responsible citizens alone can energize our various political institutions, from grãm pancãyats through state legislatures up to the Union Parliament, as well as our cooperative and other societies. Among his or her national responsibilities today is controlling of our population growth which has been uncontrolled since our Independence in 1947. All our poverty alleviation and mass education programmes become nullified by this one factor. We have to achieve zero population growth as soon as possible. We have remained an underdeveloped country even after years of freedom because of this galloping population. All our people must discharge their citizenship responsibility to their nation by actively helping the Union and State Governments' efforts in this direction by adopting the small family norm themselves and influencing others also to do so by taking all help from spiritual and medical resources. Kartum, akartum anyathã kartum na śakyate, vastu tantratvãdeva - 'Knowledge of Brahman is based on the existing Reality of Brahman. You cannot create it, cannot abolish it or alter it, because it is an existing Reality. There is only one Ãtman, of the nature of pure Consciousness. Consciousness has no plural, it is- always a singular. It is a wonderful statement in the Upanisads. And today what the nuclear scientist, Schroedinger, says adds strength to it- 'Consciousness is a singular of which the plural is unknown.' It is just like space which has no plural. Space is one - inside the room or outside the room - all one space only. You seem to divide-it, but you cannot divide it: So also the Ãtman, as pure Consciousness, is only one, in you, in me, in all. That is the great Vedantic teaching which the Upanisads convey to all people all over the world. What a profound philosophy! What possibilities will be realized when this philosophy is applied to life, individual and collective! Physical unification is taking place through technology. Today you can travel quickly. The East India Company people used to take one and a half years to reach India from England. But today, within 5 Or 10 hours one can reach here. Similarly, communication of ideas also, - telegrams, and now fax. In one or two minutes, your information reaches a far off destination. But, the minds and hearts of people must also be close to each other. That is not yet possible. It can be possible only through this unifying message of Vedãnta, the product of a science of man in depth. Take it up, verify it for yourself. This is what the Upanisadic sages said. You can transcend death and delusion. You realize this truth yourself. Somebody else's realizing will not make you achieve this thing. In vivekacūdãmani, Sankaracarya says: 'You have to eat yourself if you are hungry. If someone else eats on your behalf, it will not benefit you.' You have to realize the Truth for yourself. This is repeated again and again in Vedãnta. Therefore, in our whole life we have these beautiful ideas given to us. We have never touched eyen a bit of them all these one thousand years. Some superstition, some mythology; especially, we are fond of mythology, and India has produced the largest quantity of mythology in the World. Vivekananda said that we can fill world's libraries with books of Indian, mythology. let some mythology remain; some mythology has sometimes a scientific background. Science itself becomes mythical at a higher level, especially in astronomy. Today's India must realize this truth that scientific thinking and scientific temper must develop in our people, making them to ask this question, 'What can I do with this wonderful life? I have got a packet of energy within me. How shall I handle it?' You will get guidance from the Upaniṣads and the Gitã. Our scriptures say that there are three types of energy in every human being. First is called bãhubalam, muscular energy. Balam is a word for strength or energy. This is very ordinary. Today we have multiplied this energy million-fold, through our rockets. 'The horse power' we also call it. These powerful rockets could send a man to the moon. One Voyager has already, gone outside' the solar system. That is called muscular power, immensely multiplied through technology. The second is buddhibalam, intellectual energy. You go to the university, study books, science, and everything, acquire intellectual strength, buddhibalam. But is it all? Today's understanding is only that much bãhubalam and buddhibalam. But our scriptures say: No, there is also Ãtmabalam, spiritual energy. That is tremendous; there is nothing to compare with it. How do you know about this Ãtmabalam? That is the main subject that modern humanity must ask and find an answer. Up to that ,we have, come very well. Beyond the physical or sense- organ level, we do not know anything. Today, science has nothing to say on this subject. But the most important energy is there waiting to be acquired — Ãtmabalam. All temptations are coming to people everyday and man has no energy to withstand them. Buddhibalam has not that power. But Ãtmabalam can do it. A little Ãtmabalam can say no to all temptations. Every day our society is suffering from big and small people falling to temptations: Women are suffering, girls are suffering, boys are suffering. Everywhere you find this kind of weakening of moral resistance to anti­social temptations. Because of that we are facing increasing social problems. So, we need to develop a little of Ãtmabalam to be able to control our minds and sense organs. These senses are very troublesome if they are not properly restrained. ‘Kãma and krodha - lust and anger are the two enemies. They overcome you and then make you do this and that; you must control them you have that power. Where from that power comes? He is giving you the answer towards the last few ones up to the 7th verse - Indriyãni parãnyahuh: 'Sense organs are very sensitive and very helpful. You can understand the world around you through them. Then, there is the mind above the sense orqans Indrlyebhyah param manah. Then, Manasastu parã buddhih - 'beyond and higher than the manas is the buddhi, discriminatory faculty. Is this right or wrong - that knowledge comes' at the buddhi level. And beyond buddhi is the Ãtman—Yo buddheḥ paratastu saḥ. Therefore, Evam buddheḥ param buddhvã - 'realizing the one that is beyond buddhi', namely, the ever pure, ever free, and ever illumined Ãtman; realize that truth. Then you will be able to control other lower-levels that are troubling you. No more of enemies you will have within yourself. Jahi śatrum mahãbãho kãmarūpam durasadam. Realizing the one higher than the buddhi, and controlling the lower self by the higher self, or Ãtman, conquer the enemy, O mighty armed, of the nature of kãma, Unrestrained lust, which is difficult to satisfy.' 'Conquer the enemy,' just like a general telling the army to capture a fort. That is the language Krsna is using there, 'a warrior addressing another warrior! So, today's householders will develop into fine citizens, working together with others, if this kind of training goes on within oneself. This is not understood in today's western thinking, because they stop at the sensory level. Even mind is treated only as a tail of the sensory system. Take any book on the brain. It will say there is no separate mind as such, only the brain is there. But many neurologists are differing from it; they want to accept the Indian idea that the mind is higher than the brain which is only a physical instrument. But the mind is higher. And, higher than the mind is buddhi, the discriminative faculty, behind which is the supreme reality of the Ãtman, ever pure and immortal. This truth is slowly penetrating the western thinking today. Men like Sir Charles Sherrington, the famous neurologist, says in his book, Integrated Action of the Nervous System (it is a famous book, every medical student has to study that book): 'One factor alone is not enough. Two factors are needed - brain and mind, not brain alone.' Some others also say so. I have quoted them in my small book Neurology and What Lies Beyond. That book contains my inaugural speech at the All India Neurological Conference in Hyderabad. The conference published it first, and later, the Bharatiya Vidya Bhavan, Bombay. So, here Vedãnta has the knowledge of the depth dimension of the human personality which the West has yet to develop by studying the human being in depth. They have never studied it. They know anatomy, physiology, and neurology; beyond that, they do riot know. Even psychology they are trying to understand more and more. One such psychologist has given us a beautiful idea. That was Carl Jung of Zurich, at the beginning of the century. He wrote the famous book Modern Man in Search of a Soul. I have got a body, very fine, but where is my soul? It has been lost in the debris of civilization. That is why he wrote the book Modern Man in Search of a Soul. There is a fine passage in that book; I would like to share that with you. This life of a householder must be divided into two parts. In the first part, we engage ourselves in education, getting a job, marriage, raising a family, getting a good name and fame in society. He calls it achievement. Then, the second part of life which begins after middle age, calls for a change. Don't carry this philosophy of achievement to the second part. The second part must be devoted to personality development or culture, he says. Mere achievement should not be continued after middle age. If you go on continuing 'achievement', you will suffer from diminution of personality. Develop our inner life; that should be the purpose of the second part. You have neglected it the mind of the midst of the struggle for achievement. Now you have time to concentrate on that. What a beautiful language! When you find your hair becoming grey, that means old age is coming on you, and seeing the grandchild's face means you have done your duty to nature. Time is running out. You have neglected a beautiful thing - your own inner development. You were busy only with achievement, name, fame, and all that. That won't do. Reduce stress on them and concentrate on enriching your inner life. Then Jung warns: 'He or she who carries over 'achievement' to the second half of life will suffer from diminution of personality.' Strength and stability, a sense of inner enrichment, come from the knowledge of the Ãtman. 'Even a little understanding of one's spiritual nature is 'the destroyer of fear,' says the Gitã, in the second chapter. In the pursuit of life also you may get spiritual strength to some extent. But now you can concentrate on it much more. This is what we also understood as vãnaprastha as well as sannyãsa. What a novel idea-two sectors of human life! If a householder Wants to live a happy life, he or she must be spiritual; that makes one expand the self to take in other selves also. Without this ãtmavikãsa, one becomes confined to one's body or genetic system. Why is it so? Because, there will be constant conflict between husband and wife for not having the capacity to dig affections in each other. Conflict is bound to be if there is no spiritual growth in the individual. We have many religious men and women who come into conflict with each other. The mother-in-law is often very religious but unspiritual and hence oppresses her daughter-in-law. A little spiritual growth will change all this. So Sri Ramakrishna comes with a beautiful statement: This I, when it is unripe-Kãcã ãmi - will collide with other unripe 'I’s in society. Agnostic thinker, late Bertrand Russell, said that some human beings are like billiard balls always colliding with other human beings. A billiard ball does not know how to live with or enter into other billiard balls. So, Sri Ramakrishna said that this little ‘I’ must become expanded, must become pãkã ãmi, to be able to deal happily with other 'I's in society. Today there are too many 'billiard balls' in our society, full of conflict, whether it is in politics, administration, household, or anywhere else. Even family life is suffering because of too many contracted selves. But if a little spiritual development takes place; spiritual expansion; ãtmavikãsa, then everything will be smooth and peaceful, and life will become happy and fulfilled. Sir Julian Huxley referred to this expansion of 'I' in the language of modern biology. The unripe I is called individuality, and the ripe I is called personality. Individuality must grow into personality. Spiritual energy within manifests itself as values in human life love, compassion, spirit of service. 'What can I do for you? How can I help you?' What a change will come in our society if people develop this spiritual growth within! Till now we never had it except in some persons. Most people, however, are usually religious; they go to the temple; put on marks on the forehead, do some ritual but remain always what they are-full of conflict with others at home or in society. To settle mutual quarrels, they go to the courts. That is why our courts are full of cases; thousands and thousands of cases are waiting in many of our courts. India has the largest number of litigation's anywhere in the world, because we do not know how to settle matters by talking to each Other Human relations became very poor for the last thousand years. All that will change in .the modern period. That is the message of practical Vedãnta, message of Sri Ramakrishna and Swami Vivekananda. The Ramakrishna-Vivekananda literature contains profound ideas about how to develop happy human relations with other people. That is how a new India will develop. Our householders will be fine citizens of India and citizens of the world, possessed of ãtma śraddhã, faith in oneself, and faith in others. Self-respect is very important which is lacking today. Many of our householders will be telling: l am a householder, what can I do? I am a samsãri, what can I do? That feeling must go. Sri Ramakrishna said to his householder devotees: 'You are not a samsãri. You live in samsãra, but sãmsara should not be in you.' Then only can you establish happy relations with family members and society. So, let us not allow samsãra to live in us. We must have the feeling that we are citizens of democratic India, or that we are the devotees of God. Sri Ramakrishna gave this example: A boat may be on the water, but water should not be in the boat; then the boat will become stagnant and unfit for the purpose for which it is meant. History tells us that-we sin India used to quarrel, individuals with individuals, groups with groups, and foreign invaders made use of this trait to establish their long rule over our country. Even today we are quarrelling with each other, in political and social life and weakening our democracy thereby. We must learn to cooperate with each other when national interest is involved. Maharashtra and Karnataka, Tamil Nadu and Karnataka, engage themselves in unending conflicts, as if they are two separate foreign states. That old characteristic is still lingering. So, this kind of human development will take place in India when Vivekananda literature inspires a good section of our people. It is human development in a fundamental way, mot merely getting a degree and getting a good salary; that is not enough. Have I become truly developed as a human being? Have I become a source of strength to our democratic state? That is the question we have to ask and get a positive answer. That is why if our householders - and as I said earlier, 99.9 percent of people are householders only - follow the teachings of Swami Vivekananda and the Gitã's practical Vedãnta, they will become healthy and strong, and endowed with the humanistic attitude, that will make the whole country strong and gentle. Gṛhasthenaiva dhãryante tasmãt jyeṣthãśrami gṛhi. The greatness, of the grhastha is mentioned in these words: tasmãt jyesthãsrmi gṛhi,— 'Therefore the gṛhastha aśrama is the pre-eminent aśrama.' Because trayopyãśramino jnãnenãnnena cãnvaham gṛhasthenaiva dhãryante-'because the other three aśramas (brahmacarya, vãnaprastha, sannyãsa) are nourished constantly with education and food by the grhastha only.' A brahmacari does not earn; a vãnaprasthi does not earn; so also a sannyãsi. Only a householder works and earns. By that one group, all the other three groups are educated and fed; that is its greatness. What a beautiful and true conception! Our gṛhasthas had forgotten it. They have to recapture it once again. That will be a new chapter of householder's life. They can work together and achieve great things together. Our parliament, assemblies municipalities, and pãncãyats will be revolutionized. That kind of togetherness must be achieved. As it is, bur gṛhasthas will more often trouble their neighbour, If I sweep my house, I put the dirt in front of my neighbour's house; I don't put it in front of my house. Everywhere in India this is a common practice. All good things for me and bad for others! Forsaking this petty attitude, our people must learn to work together. There is more than one chapter on 'Advice to Householders' in the Gospel of, Sri Ramakrishna. A householder asked Sri Ramakrishna, 'Can we realize God? 'Why not? ; Sri Ramakrishna said, 'God is your own self, the Self of yourself. You can realize Him. Only necessary changes you must adopt in your life. Then it will be possible.' In this way, 'spiritual growth' will become the key words of human development hereafter. Along with physical and intellectual growth, there must be stress on spiritual growth. 'Have I grown spiritually? '— every one must ask this question. Go to a temple and worship; return and ask yourself, 'Have I grown spiritually?' Going to temple and all other religious practices have got their purposes fulfilled only if this is done. You eat food; and if you don't grow physically, what is the use of eating? Similarly, in spiritual life, there is such a thing as adhyãtmika vikãsa - spiritual growth. Keep that principle in view. Then grhasthãśrama will be a beautiful I experience .The salvation of India will come through such, a grhasthãśrama. I convey to you all the blessings of Sri Ramakrishna for this achievement of being true gṛhasthis. It is the sense in which Vedãnta and the Gitã and Sri Ramakrishna express it.